Just wanted to let you all know that Xhonane at Catholic Family asked me to do a Spanish version of my Gifts of the Holy Spirit Paper plate craft. 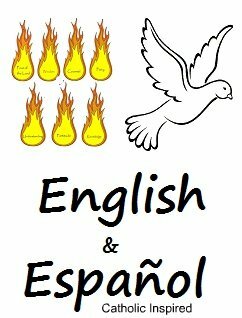 So for all my Spanish followers here's the NEW Spanish version! Click here for the post with both the English and Spanish versions. Thanks, Xhonane for your help! 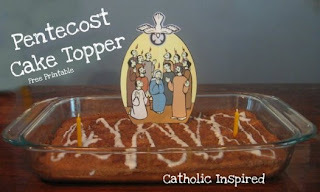 Turns any cake into a Catholic Church Birthday Cake! May you all have a wonderful week till the end of the Easter season! Hope I said that right!?!? God Bless!